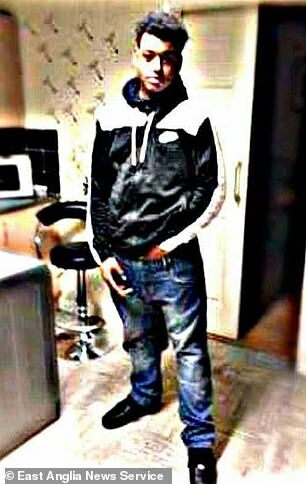 A teenager was butchered by members of a rival postcode gang who stabbed him 15 times and smashed a bottle over his head to ‘settle the score’ in a postcode, a court heard. 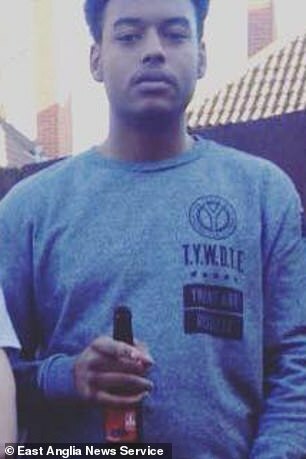 Five men and a 16-year-old boy deny Tavis’s murder. A plain-clothed police officer intervened ‘before violence could break out’ but as the J-Block members had run and hidden it was seen as a ‘victory’ for Neno, Mr Glasgow said. He said J-Block members went to the rival area seeking revenge for the ‘loss of respect’ and ‘tragically for Tavis Spencer-Aitkens he was the rival that they came across’. Mr Glasgow told the court: ‘That group, which comprised these defendants, were people with whom Tavis and his friends had a heated rivalry. 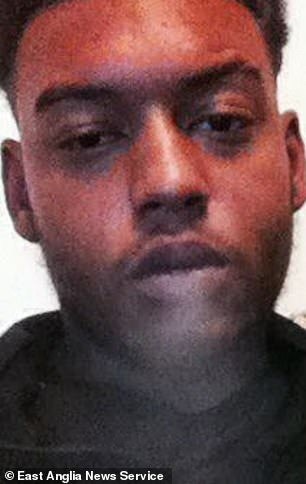 ‘That group had travelled to the area where Tavis lived, seeking revenge for what they perceived to be a loss of respect. Mr Glasgow, opening the prosecution case on Wednesday, said that five of the defendants armed themselves with weapons and ‘chased down their target’, while a sixth defendant, Leon Glasgow, 42, of no fixed address, was their driver. He said Glasgow ‘knew precisely what he was getting himself into’ and that without his help the attack could never have happened. 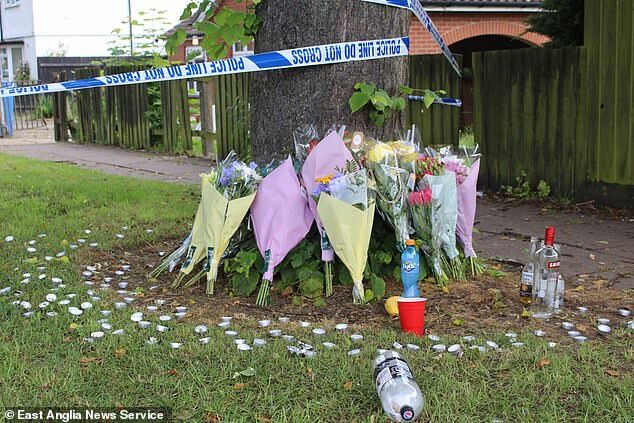 The remaining defendants are 23-year-old Aristote Yenge, of no fixed address, Callum Plaats, 23, of Ipswich, Adebayo Amusa, 20, of Barking, east London, Isaac Calver, 19, of Ipswich, and a 16-year-old boy who cannot be named.